The best way to escape the heat this summer? A champagne picnic. 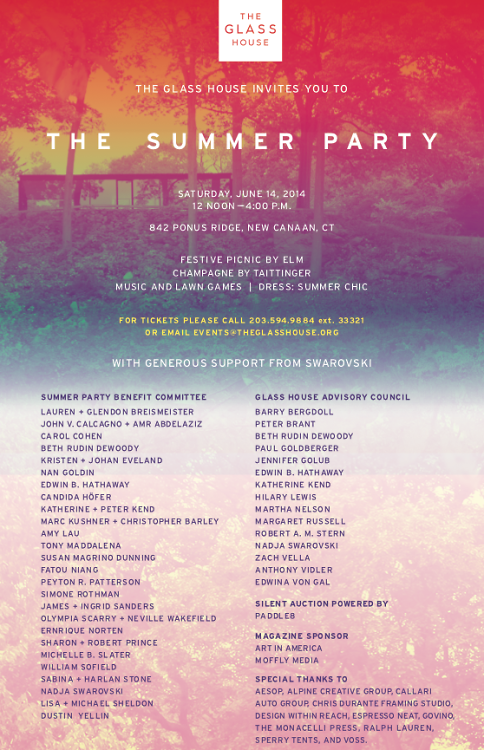 On June 14th from noon to 4PM, celebrate the start of the season by joining The Glass House as they host their epic annual Summer Party. Supported by Swarovski, the event features a festive picnic on their sprawling 49-acre property. Listen to DJs play summer hits while trying your hand at classic lawn games like giant chess and ping-pong! 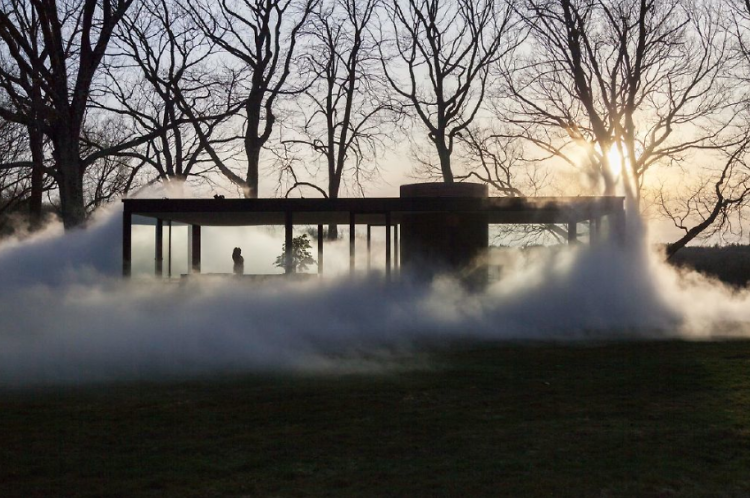 If you're more leisure-minded, enjoy a glass of champagne and experience the ongoing exhibition, Fujiko Nakaya: Veil, or enjoy free roam of the entire Glass House grounds. Tickets can be purchased HERE and a limited edition print by Candida Hofer is a special gift with any ticket purchase over $5,000. If you can’t wait until June 14th to join in on all the fun, stop by The Glass House’s Silent action powered by Paddle 8, HERE, to bid on some beautiful works of art. We’ll see you there!